So after reading the title of this article most of you probably think this idea is crazy. I mean why would you purposely buy an old laptop when there are so many amazing new laptops out today. Well as it turns out the idea of buy used older laptops may not be as crazy as you think. And for many, especially those on a budget, buying an older laptop may be the best purchasing decision you'll ever make. The results of some of these lower end laptops are so good that it almost doesn't even make sense. As with all things there are some drawbacks that I will discuss, but I promise you the cost to performance ratio greatly outweighs the minor drawbacks. So here is what to look for and what to consider when buying your next laptop. One of the main reasons to go with an old laptop is the fact that they're so much cheaper. A laptop that cost $1,500 at launch will sell used for around $500 or less just a couple years later. Now, that may seem obvious, but what most don't understand is that the technology behind laptops hasn't changed nearly as much as hardware in the desktop PC market (more on this later). What this means is that the performance of that 3 or 4 year old flagship laptop isn't going to be that far off of what the current models have to offer. This makes a $500 or less laptop start to sound a lot more appealing than the $1,500 laptop. Mobile CPU technology hasn’t really changed all that much in the past couple cpu generations. The major improvements have been in efficiency. Instead of a monster 45 watt cpu a newer cpu can achieve relatively the same specs but at something like 15 watts. All that really means is improved battery life. So what does all of this mean? It means the hardware you can get for the same price is generally way better. You can buy a business grade laptop with a quad core 8 thread Intel Core i7 that is a couple years old for the same price you would pay for a new Core i3 with 2 cores and 4 threads. The performance of the older i7 will be very close to the current generation of the mobile i7 processors. The only difference being the new processors will be more efficient which again means more battery life. As for the memory, well DDR4 has been the standard for memory for about the past 2 or so years. So there will be a performance difference between the same amount of DDR4 and DDR3 memory which a lot of older laptops use. I will say though, the improvement is marginal and not something that should make you shy away from an older laptop. The good news is that DDR3 is much cheaper than DDR4, so you can have a lot more memory for a lot less money. When it comes to storage, OEM laptop hard drives are the worst. Even some of the best laptop hard drives are notoriously bad. My observations have led me to believe that manufacturers just throw in bargain bin hard drives to save money. I always suggest switching to a SSD as your boot drive right off the bat. That alone will improve the observable performance of your laptop tremendously. Current laptops have started to include SSD's, but usually just on the higher end laptops, even then you are usually looking at only 128gb to 256gb SSD's. Older laptops will most likely have budget 5400rpm HDD's that are absolutely garbage. Honestly, it should have been a crime to allow laptop manufacturers to include such slow hard drives. Luckily SSD's are here, and here to stay. Odds are you may never have to replace a part on your laptop. However, if you do, replacement parts for older laptops are usually really easy to find depending on what brand you get. There are tons of replacement parts for Lenovo's Thinkpad series laptops as well as Dell laptops. Usually business grade variants of those laptops will have the most readily available parts since more of them were sold. The best part is that most of the replacement parts are super cheap compared to expensive parts of current laptops. I happen to have a valuable example of why cheap parts parts for older laptops can be amazing. During a bios update on one of my old Lenovo laptops I accidentally unplugged the power cable. Well as most of you would probably assume, the motherboard was toast. But because it was an older laptop all I had to do was find the same model on eBay. I looked for ones that had broken screens because I knew they would be cheaper and after all, what I really needed was the motherboard so I could swap it out with my bricked one. All in all, it cost me $40 to replace the motherboard. If it had been a current generation laptop I most likely would have had to just get a new laptop because of how expensive a replacement motherboard would be. Warranties on new laptops are great, but they wouldn't have covered that type of damage. When it comes to laptop computers, the biggest problem that causes performance issues is heat. Because the form factor of laptops are so small their cooling solutions subsequently need to be scaled back. What you usually get are some heat pipes with an extremely small fan. If you are lucky you might get two fans. Normally that would be enough to cool the CPU and/or GPU. However, overtime dust begins to block the metal fins of the cooling solution which restricts airflow and doesn't allow cool air to enter or let hot air escape. 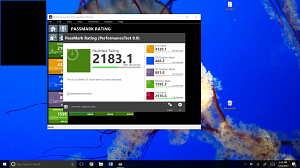 What ends up happening is that CPU will thermal throttle leaving you with terrible performance. So remove the back of the laptop to get access to the fans and remove all of that dust. Canned air works great for removing dust. Another maintenance issue that should be dealt with is replacing the thermal past on the CPU and GPU. After a year or sometimes even before that, the thermal paste will begin to turn into a solid become almost crumbly. This is terrible for dissipating heat, and just like dust clogging your fans, will lead to thermal throttling. So clean off the old thermal paste and replace it with new past. 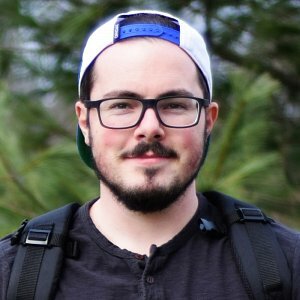 I recommend checking out an iFixit tutorial for how to access your specific laptops CPU. Battery life is not as good as some of the newer laptops. This for the most part comes down to efficiency like I discussed earlier. Some older laptops may need their batteries replaced. The good news is that there are a lot of 3rd party batteries out there with even greater capacity than the ones provided with the laptop. 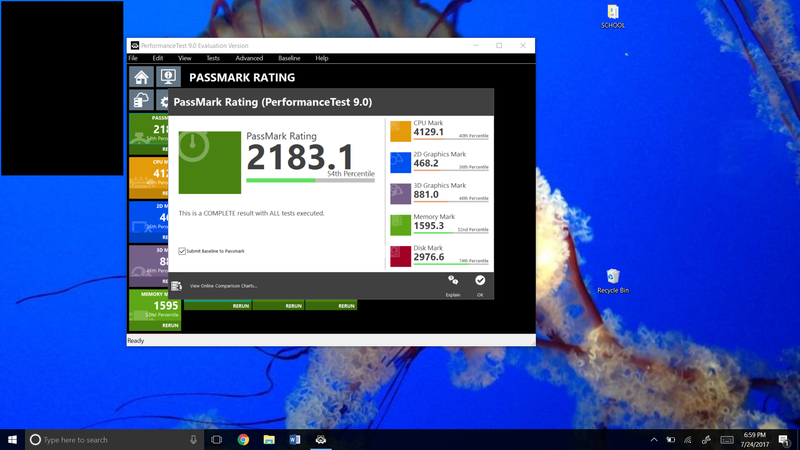 I can get about 4-6 hours of battery life with my older Lenovo Thinkpad W530 which has a quad core i7 and dedicated GPU. So don't think you can't still get decent battery life with an older laptop. Screen resolution and quality is an area that has been improved over the years. We now have 4k IPS displays that look amazing. But when it comes to older laptops, depending on the model laptop, you may have to go with a lower resolution than you are used to. However, there were still laptops that had 1080p resolution. In my opinion, 1600x900 is totally usable while anything lower than that may be disappointing if you are used to higher resolution. Again, laptop HDD's are almost always terrible so they will probably need to be replaced. And lastly, check to see if the laptop has the external ports you need. Some older laptops don’t have USB 3.0 and HDMI ports as well as many other ports that are now considered standard. So keep that in mind. 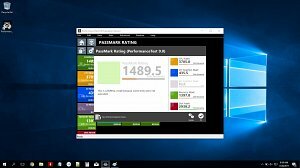 Go to cpubenchmark.net and see how the laptop cpu scores. Anything in the 3,000 to 4,000 range is going to be good for web browsing, word documents, light multitasking, and things of that nature. Anything above 5,000 is going to be good for more taxing programs and multitasking. 2 core CPU’s are perfectly fine, but I would opt for one that also offers hyper-threading meaning 2 logical cores per physical core. The same applies for 4 core CPU's. Most consumer grade laptops, even current generation, will have 2 core CPU's, while business grade/high end/enthusiast laptops will have 4 core CPU's. That may change in the upcoming years, but that has been the trend for the last 5+ years or so. Check the support page of the model you are going to buy to make sure drivers are supported for your operating system. 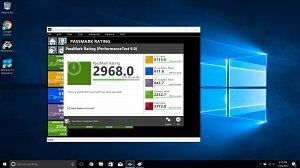 A lot of times manufacturers stop supporting driver updates for older model computers after a new operating system comes out. So make sure there are drivers available for the operating system you will be using. Lenovo is really good at supporting their old laptops especially their Thinkpad line. If new drivers have come out recently, that is a sign that the manufacturer still supports your hardware. Even though some models don’t have updated drivers for newer operating systems like Windows 10, they will still work perfectly fine. This is because Windows ships with generic drivers for legacy hardware. Consider the cost of an SSD and get it anyway. The increase in perceived performance is well worth the price. It's amazing how these can totally change how a quickly system runs. SERIOUSLY, GET AN SSD ALREADY! Check the screen resolution. I personally wouldn’t go for anything less than 1600x900, but a lot of newer laptops still use the 1366 x 768 resolution. It's crazy to think 1366 x 768 is still considered HD. Either way, paying a little extra for the better resolution is usually worth it. The speakers will be fine, but not great. Only recently have manufacturers decided include quality speakers in laptops. The last thing to consider is that most likely won't be able to get a warranty on your old laptop (unless purchased as new). If you are the type that doesn't mind getting their hands dirty and replacing parts, then that won't be a problem. But that is something you should keep in mind. The Lenovo Thinkpad T420 is probably the oldest laptop that I would still recommend. At the time of writing this post, the laptop is over six years old. The laptop is great for web browsing and lighter workloads. One of the biggest reasons to get this laptop is how cheap you can find them and their replacement parts. The Intel Core i5 model that I have can be upgraded to an i7 for very little money. It has the legendary Thinkpad keyboard, which is without a doubt, one of the best keyboards ever made for a laptop. If you need a laptop on a tight budget, then this is the laptop for you. Make sure you get a 1600 x 900 model if you can. The performance is nearly identical to current generation i3's and i5's. The Lenovo Thinkpad Yoga 14 is a really versatile laptop that I think most would really enjoy. 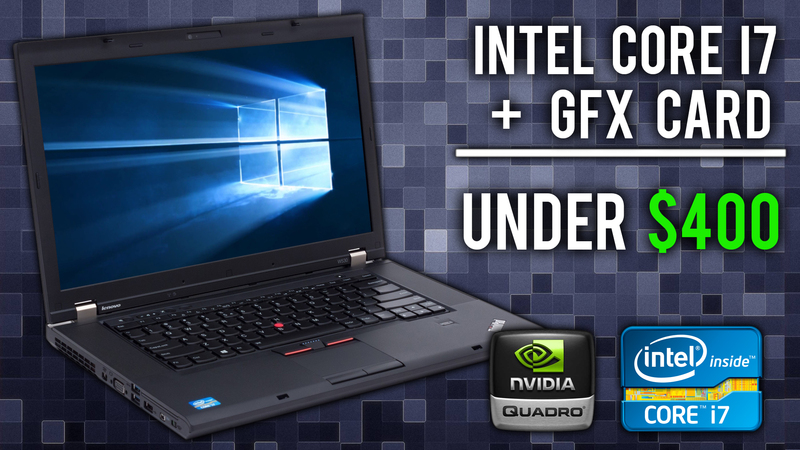 It comes with a gorgeous full HD touch screen IPS display as well as a dedicated graphics card. The graphics card isn't the greatest in the world, but it's good enough for most games at medium to high settings as well as engineering programs, granted the files aren't too large/complex. The CPU is nothing special being a dual core processor, but it does well with small to medium workloads. I think this laptop would have been even better had the price not been so high. You can find them slightly cheaper now but it sits in a spot where you might be better off spending a little more on a newer model or spending less on an older model. The build quality is probably the best I've ever seen. The Lenovo Yoga 720 is pretty much the highest performance laptop that you can get right now that is under $2000 and not a gaming laptop. Like the Thinkpad Yoga 14, the Lenovo Yoga 720 has a really nice touch screen IPS panel, except this display is 4K. I find it interesting that they chose a GTX 1050 to drive the 4K display. In most applications that the 1050 packs enough horsepower to get the job done, but if you had any thoughts about gaming at 4K, think again. Adjusting the resolution to 1080p allows for a better gaming experience. The CPU is an absolute powerhouse and one of the highest performance mobile processors out. Basically, if you need raw performance without the gamer aesthetic, then this is the laptop for you. The Lenovo Thinkpad W530 is great alternative for those that need performance, but can't afford to drop 10 "Benjamins" on a laptop. It features a 1080p TN display which is actually pretty good as far as TN panels are concerned. It also has the legendary Thinkpad keyboard. If you do a lot of typing, there definitely isn't a better keyboard out there than this. It runs on a Quadro GPU which is by no means great for gaming (Although it runs older DX10 games at 60fps), but will work for engineering programs and modeling applications. 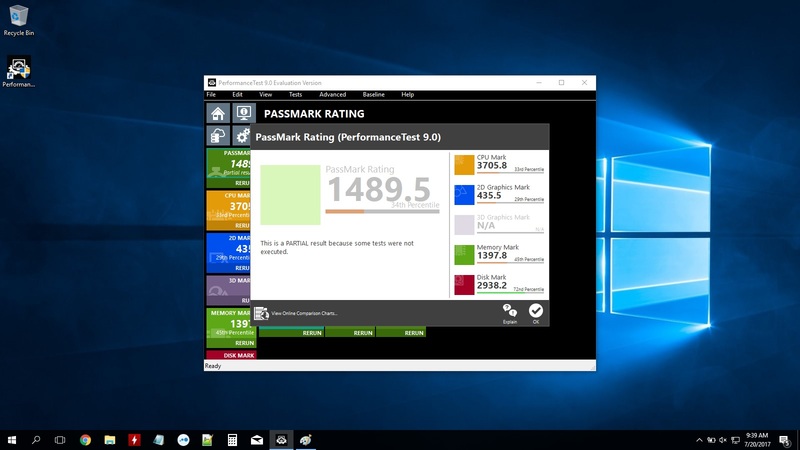 The GPU performs as well as you would expect a laptop GPU from 2012 to perform. The CPU on the other hand has easily withstood the test of time and performs better than the i7 from this years Lenovo Yoga featured above. 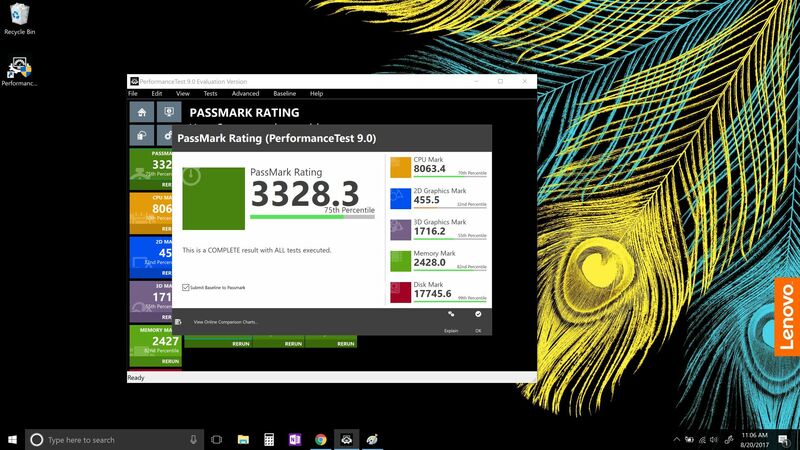 In fact, it scored almost 700 points higher in Passmark's CPU Benchmark. This laptop is an absolute workhorse which is exactly what it was meant to be considering it was designed for the business sector and not typical consumers. It's big and bulky, but it more than makes up for it in performance. Here is a checklist of what you should look for when buying an older laptop. 1. Look for older business grade laptops. The Thinkpad W series or the Dell Precision & Latitude series business class laptops would be a good place to start looking. 2. Check to see if it still receives driver updates for the OS you want to use. 3. Look at the CPUbenchmark scores for the CPU to determine if it will meet your needs. 4. If it has a GPU make sure it supports at least DX11 and OpenGL 4.3 or later. 5. Consider the additional cost of an SSD and buy it anyway (Some might come with one like my Thinkpad W530). 6. Consider the cost of a new battery. You will have to buy one eventually. 7. Make sure there are no defects like a broken screen and avoid "For Parts" listings. 8. Check to see if it has an OS already installed. Having Windows 10 pre-installed is a plus, but sometimes you can save money if it doesn't have an OS installed. 9. Make sure it has the ports you need like HDMI, USB 3.0, etc. 10. Lastly, make sure it is something you are going to actually use because otherwise it's just going to be an old expensive paperweight. If it wasn't made abundantly clear already, I'm huge fan of and would highly recommend Lenovo laptops. The ones I have had the pleasure of using have honestly been a step above pretty much any other competitors laptop when it comes to quality and longevity. I mean seriously, I use a 6 year old laptop as my daily driver outside of my home and don't plan on upgrading anytime soon. That's not to say there aren't other laptops that are on the same level. I really like Dell's XPS and Precision line of laptops. But when it comes to price/performance I just don't think Lenovo's Thinkpad lineup can be beat. Then there is quite a deal to be had out there if you look for older laptops. 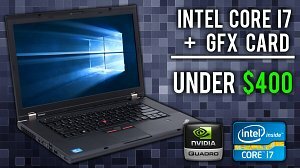 What are your thoughts on buying older laptops instead of new laptops? Let me know in the comments below.